The story adds that in China, where Apple shipped nearly 20% fewer iPhones during the fourth quarter compared with the same period in 2017, the iPhone XS and iPhone XS Max will be offered in the same red color, but without the PRODUCT(RED) branding. Apple will supposedly call this "China Red" in an effort to jump start sagging sales in the country. 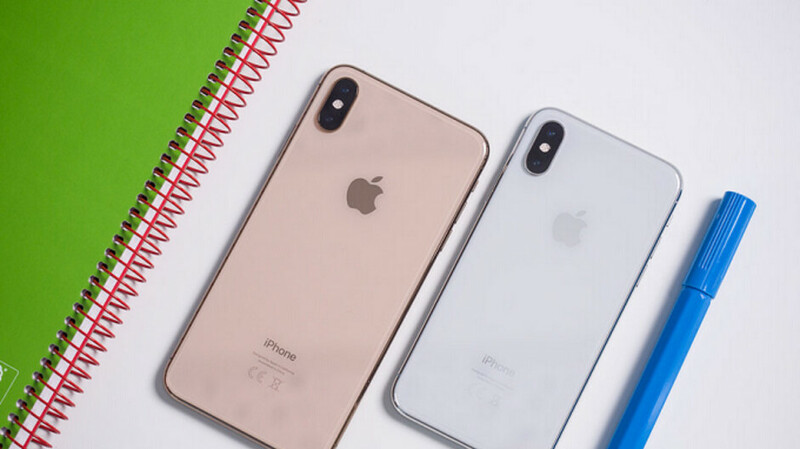 The "China Red" iPhone models will reportedly be available before the end of this month, priced at 10,000 Yuan and up (equivalent to $1,476 at today's exchange rate). Apple donates a percentage of its PRODUCT(RED) sales to help fund programs that treat AIDS/HIV. Besides the strong dollar, Apple's woes in China also have to do with a Chinese economy hurt by the the trade war with the U.S., and a rise in Chinese nationalism. The latter has come about because of the way that the U.S. government has gone after Huawei and ZTE; the U.S. calls the pair threats to national security and President Trump is expected to sign an executive order banning U.S. carriers from using networking equipment from any Chinese outfit. To retaliate, businesses in China are fining employees who buy an iPhone while subsidizing employees who purchase a handset made by a domestic firm. Not gonna help them much though... the damage has already been done . "This is how Apple plans on reigniting sales of the iPhone XS and iPhone XS Max" Let's introduce a red color iPhone. Umm that is definitely not going to help. I definitely know how they can do it. Try lowering the prices. I wonder how these comical articles even exist? Seriously??? A new color variant and suddenly all rosy for iPhone sales. Imagine if we had people like this running corporations or the country we are seriously in trouble. Unless there is a significant price drop. The only way Apple can reignite anything in China or India is by literally burning the phones. Lol. Highly doubt a color, no matter what you name it, will do anything at this point. It’s gonna take more than colors Apple. Breathe new life into the software please. New killer features, better modems, and you’re good to go. To me only a price drop which will reflect the real value of thw hardware, can push me to buy. Software is just find, better modem, again.. fine, fast enough and good signal.. so.. The XS max doesn't even have features that can utilize the big screen that's why it's pointless for apple to build big screen iphones, just stick to compact size like 5s, 5c and SE those are better options, Samsung are the king of big screen because it makes sense since they are loaded with tons of useful features that utilizes the big screen. the home screen might not but the apps do which is most important. So are they continuing the donations to charity with the removal of the branding? So far it's been unclear. Makes sense that they wouldn't continue donating since the price cuts already tighten the margin. Lower the price by no less than $250 per device. They are going to get hit hard if they dont. I have almost every apple product but i absolutely refuse to upgrade any of them anymore. Ill hold on to my 2014 macbook pro retina and my iphone x for 5 years if i have to. 2015 was the best model really! A colour change will sell a few thousand, not millions what they need. So, new color with the same price? So, the red iPhone was the color people were waiting for? Let's start copying more features from Android, which is undeniably the most superior mobile OS in the market, and you will start gaining some customers back. Buy a apple and get fined, buy a china phone and get rewarded, apple have no chance in China. They either need more Android features or lower prices, not a new color phone. red phone for 1500$?...the end is nigh for Apple in China. How about reducing all prices by $300.